Happy Friday, friends! We've got a lot going on this weekend including our five-year-old's last soccer game of the season (if you haven't had the pleasure of watching young kids play soccer, you're in for a real treat-they are hilarious!) and continuing work on our kitchen remodel, but I just had to stop in and share some favorite finds for the week! 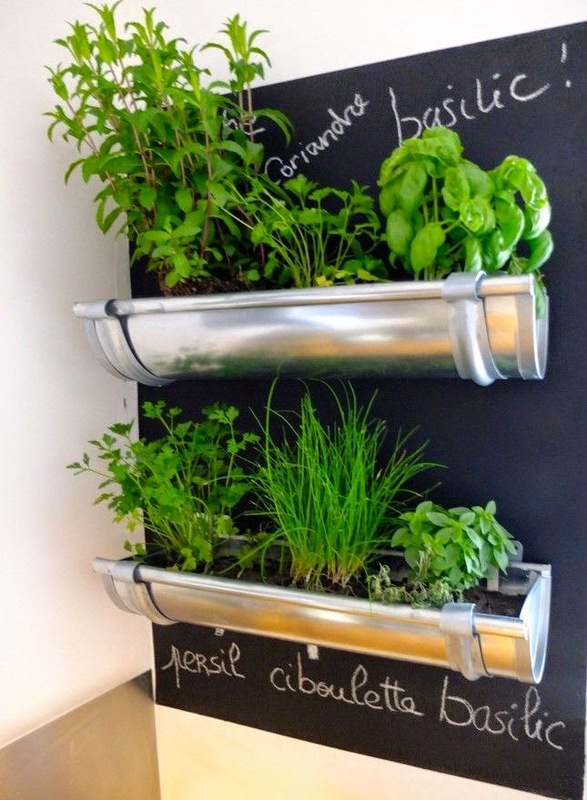 This post of 20 Ways to Start an Indoor Herb Garden from Brit + Co. is both timely and inspirational. I love fresh herbs in everything, and had no idea how many (attractive) indoor herb-growing options were out there! There are a million reasons why I love IKEA, and here's one more! The Kitchn shared their picks for the 10 Best Kitchen Items to Buy from IKEA. I only have one item from the list, maybe this means an IKEA trip is in order? On Instagram? Us, too! Vogue posted 8 Stylish Instagram Accounts to Follow. I feel more stylish just browsing through these fashionable Instagrammers feeds. These Chocolate Chip Cookie S'mores? I want one (maybe two) now! Cooking Classy shares the recipe (along with some gorgeous photography). Have some time to craft this weekend? Poppytalk shares 5 Pretty Weekend Projects for the Home.